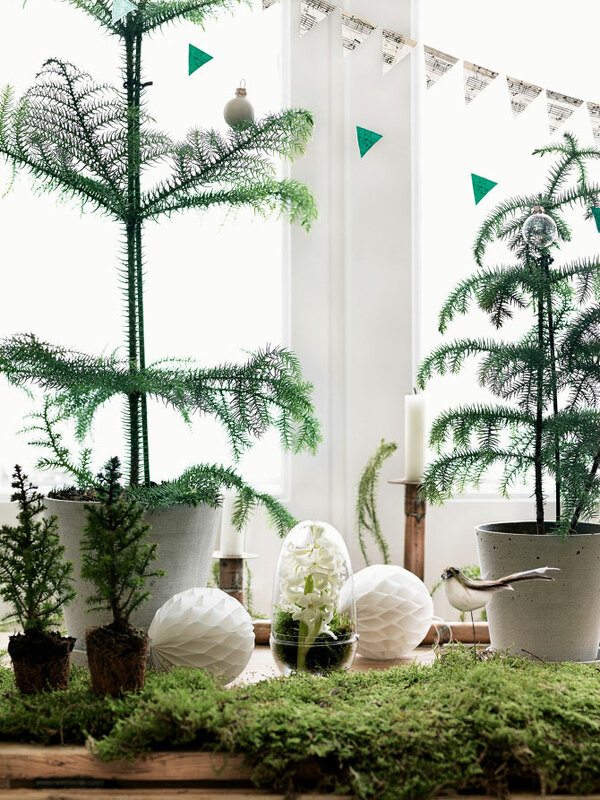 This is one of the latest photo shoots by talented Petra Bindel for the Christmas issue of Elle Decoration, styled by Emma Persson Lagerberg. 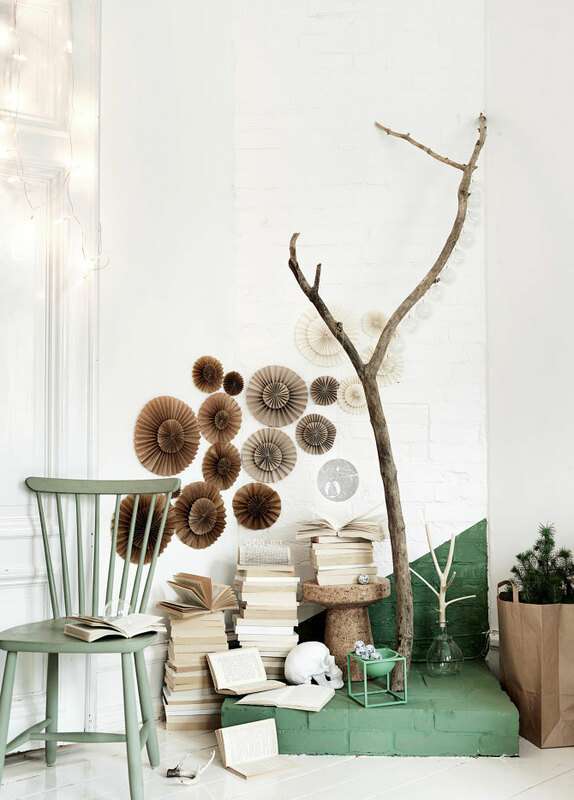 I love the mix of natural tones with green, it looks fresh and festive! 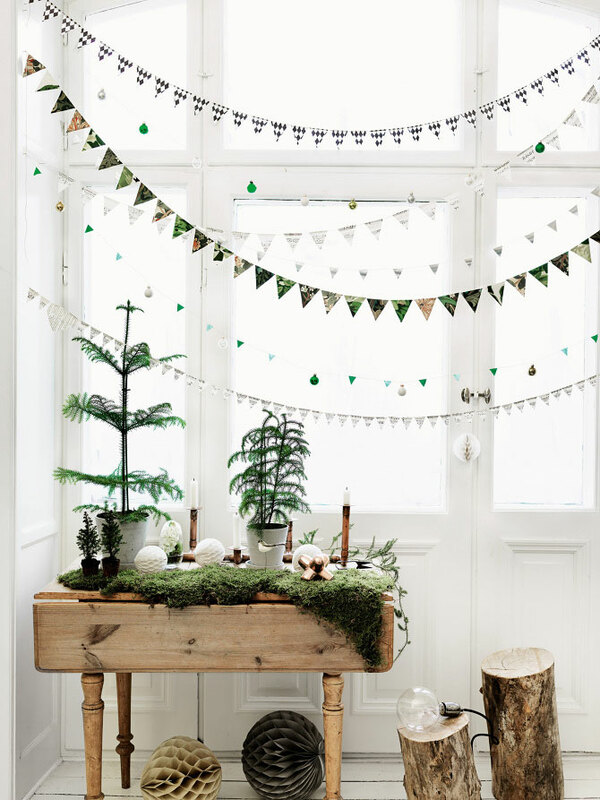 There is a lot of inspiring ideas too: A cluster of paper decorations in three different sizes and hues; recycled paper garlands; lots of natural elements like logs, branches, moss, hyacinths, fir, antlers, etc. 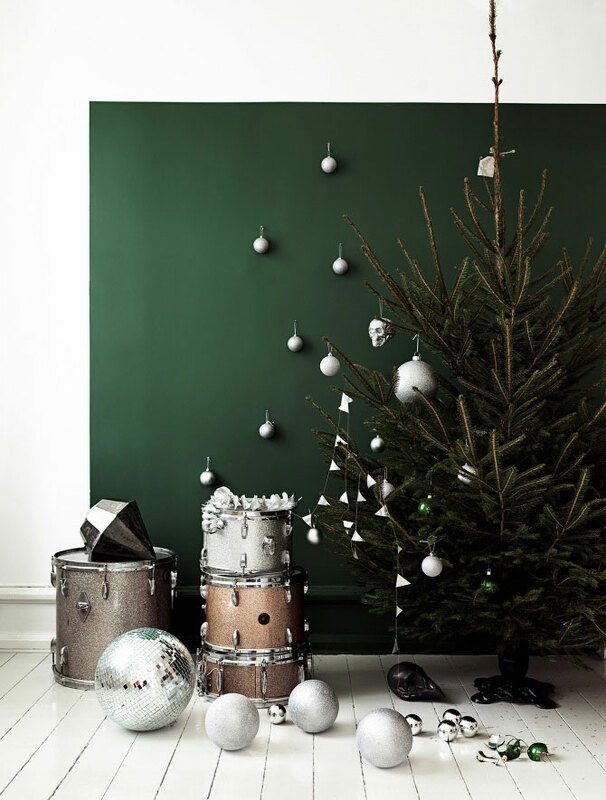 And look at the first picture below – Isn’t that dark shade of green amazing? 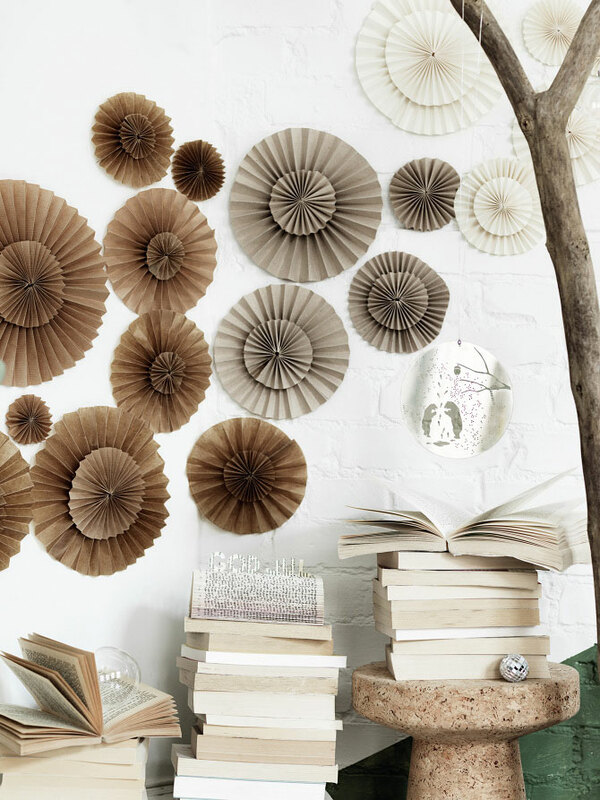 Now I long for a wall like that too. 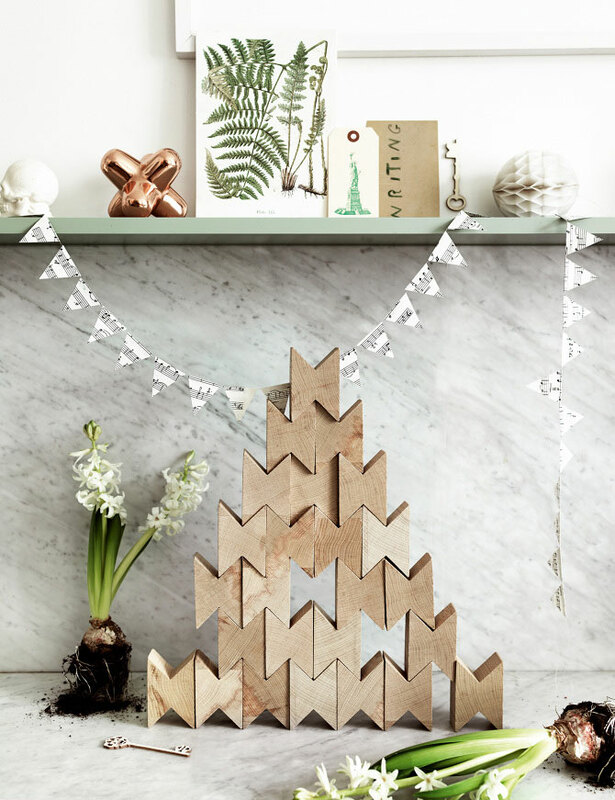 This is absolutely the look I love best at Christmas, I particularly love the pops of copper and concrete planters, thanks for sharing.